Montgomery Township New Jersey Independence Day Fireworks. My local township typically has an Independence Day fireworks celebration several days before the 4th of July. This year it was almost a week earlier. We had heavy rain in the morning, but by the afternoon things pretty much cleared up. I have a great location near my house that has a view that is above the high school where the fireworks are launched. In all I had five cameras set up to record the event. Individual images can be viewed here. 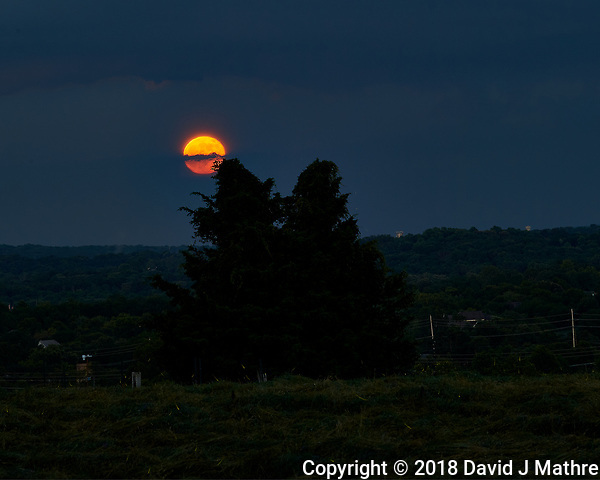 While waiting for the fireworks to start, we watched the “Strawberry” full moon rise through some low clouds. Unfortunately, it was too late to find a different location where the full moon would be in the images with the fireworks. 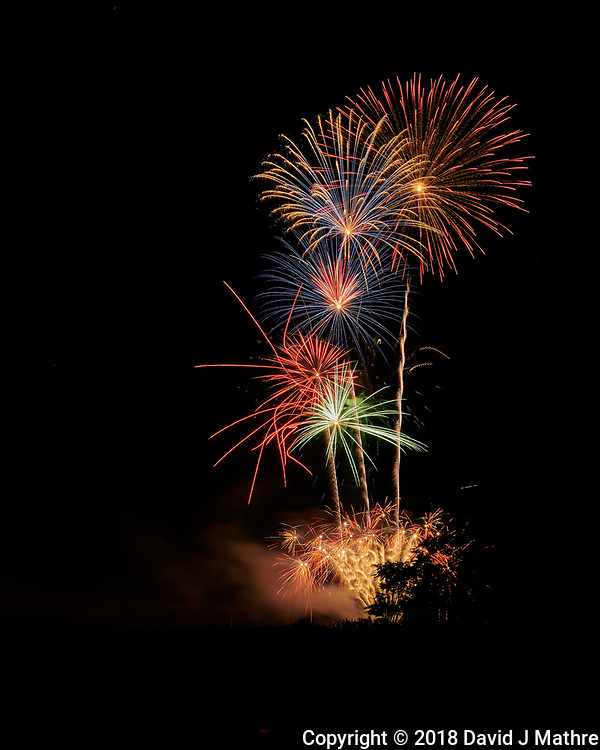 Montgomery Township in New Jersey typically has an Independence Day fireworks celebration several days before the 4th of July. Like this year it was almost a week earlier. I have a great location near my house that has a view that is above the high school where the fireworks are launched. 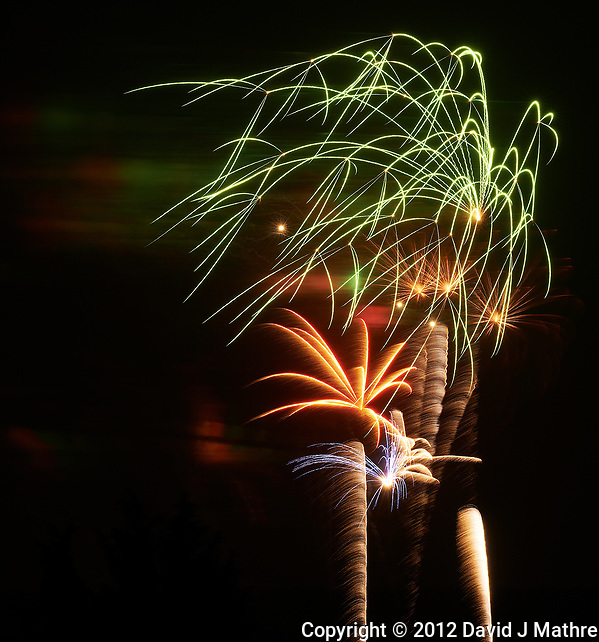 This was the first time I was able to use the new high-resolution Nikon D800 to photograph a fireworks display. In all I had five cameras set up to record the event. Individual images can be viewed here. Independence Day Fireworks in Montgomery Township, New Jersey. To save on costs the township does the fireworks before or after the 4th. This year weather permitting it will be on the 30th. I hope to find a good place to set up my camera.